Join a instructor that is passionate, determined, and supportive. 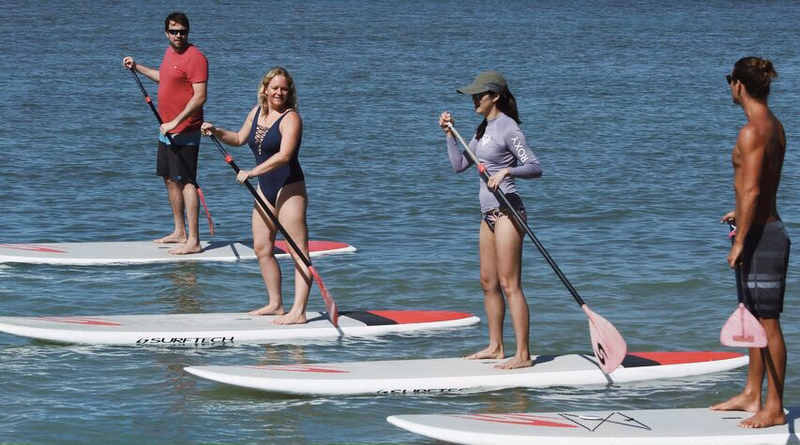 Whether you’re a first timer here for a day of stand up paddle or an experienced paddle boarder, we’ve got exactly what you need lessons and rentals. At the famous Anini Beach Lagoons Hawaii's largest barrier reefs. get the individual attention they need. We at Anini Paddle Boarding are about creating for you an unforgettable stand up paddle board experience. Whether you are a visitor, a local, a beginner, or a pro. It doesn't matter your level of expertise or knowledge of the ocean, everyone is welcome. 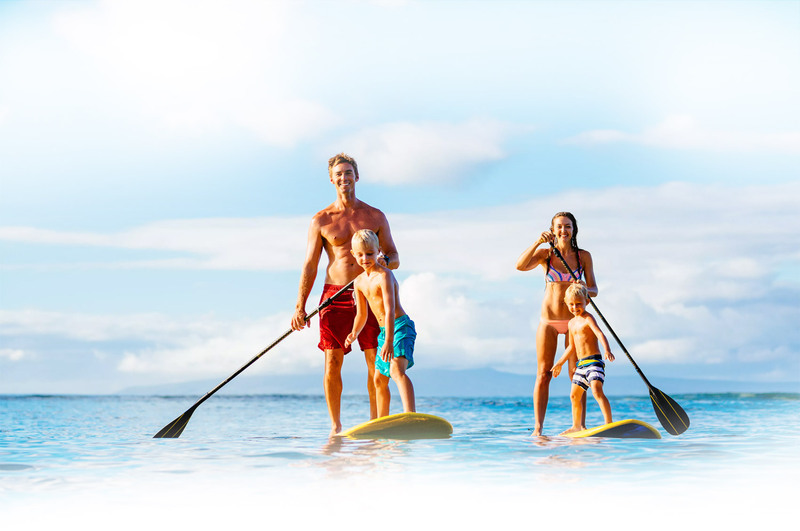 We are here to support you in finding the connection to the joy of stand up paddle boarding, with our focus on sharing the beauty of Kauai and helping you to explore the friendly pristine waters of Anini Lagoons. Paddle boarding being the fastest growing water sport in the world, it's easier now more than ever to learn to paddle board. The great news is everyone can do it, all ages, shapes, and sizes, from kids, to grandma and grandpa, everyone can join in the fun. With top of line equipment, and friendly professional instruction, treating all those from near and far as family, we guarantee to gift you with memories that will last a lifetime. We are located within Hawaii's largest barrier reefs, protective reefs that create the safest ocean environment on the island. With the optimum combination of equipment, location, and instruction. We are the choice for you. Safe, easy and fun for everyone. Learn the skills to become a paddle boarder in just one lesson or simply experience another paddle board session in a new breathtaking location. Anini Beach being a must see location on the island there is lots to enjoy, flourishing marine life such as turtles, eagle rays, reef fish, and more. You are sure to enjoy your adventure and with a backdrop of kauai's famous views it's a perfect place to capture your vacations best photos. After your paddle board experience take in the hawaiian sun and tropical beach breeze at the picture perfect anini lagoons. 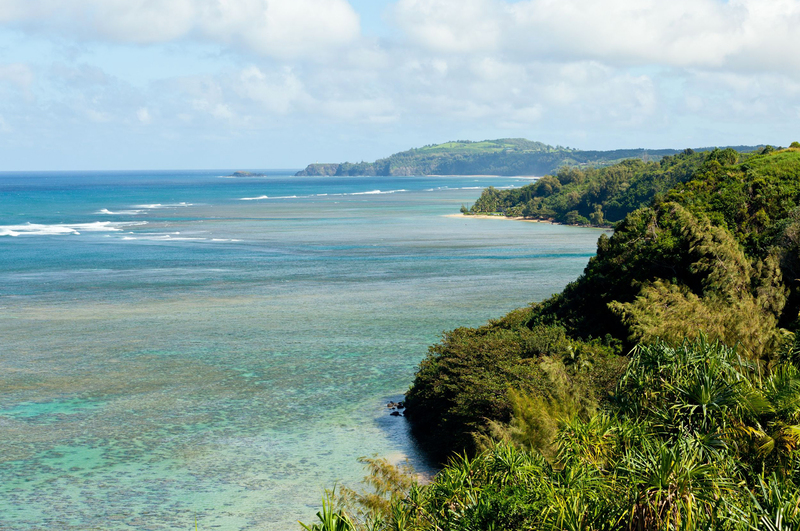 A culture within Anini Paddle Boarding has established to reflect the hawaii spirit. Hosting our clients with the warmth that insures that you feel welcome, safety is our priority. 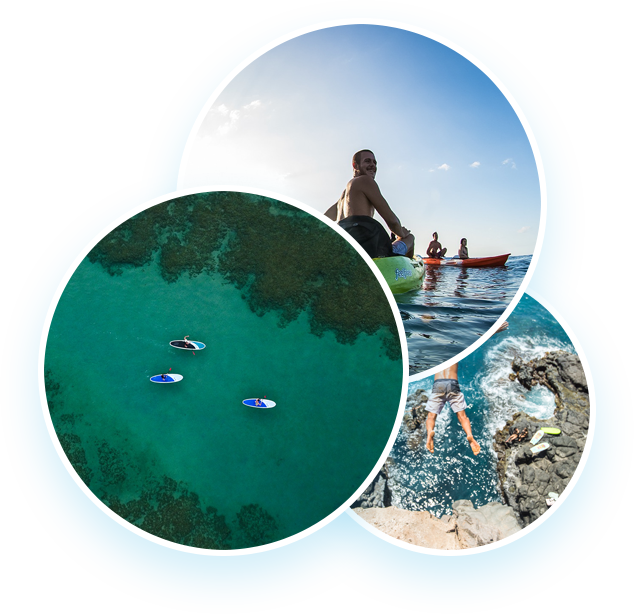 We start with a detailed and in depth ocean safety briefing to insure your educated about the pacific ocean and its dangers throughout your stay on Kauai. Next we discuss the current conditions and how we can customize your tour that day for your convenience. Finally we take you through instructions before helping you get up and out into your stand up paddle board kauai experience. We at Anini Paddle Boarding are about creating for you an unforgettable stand up paddle board experience. Whether you are a visitor, a local, a beginner, or a pro. It doesn't matter your level of expertise or knowledge of the ocean, everyone is welcome. 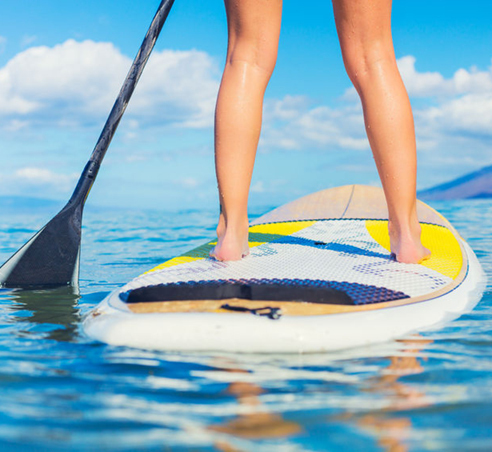 We are here to support you in finding the connection to the joy of stand up paddle boarding, with our focus on sharing the beauty of Kauai and helping you to explore the friendly pristine waters of Anini Lagoons. Paddle boarding being the fastest growing water sport in the world, it's easier now more than ever to learn to paddle board. The great news is everyone can do it, all ages, shapes, and sizes, from kids, to grandma and grandpa, everyone can join in the fun. With top of line equipment, and friendly professional instruction, treating all those from near and far as family, we guarantee to gift you with memories that will last a lifetime. We are located within Hawaii's largest barrier reefs, protective reefs that create the safest ocean environment on the island. With the optimum combination of equipment, location, and instruction. We are the choice for you. Safe, easy and fun for everyone. 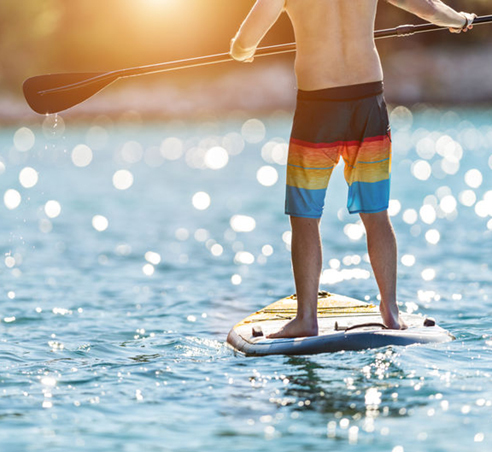 Learn the skills to become a paddle boarder in just one lesson or simply experience another paddle board session in a new breathtaking location. Anini Beach being a must see location on the island there is lots to enjoy, flourishing marine life such as turtles, eagle rays, reef fish, and more. You are sure to enjoy your adventure and with a backdrop of kauai's famous views it's a perfect place to capture your vacations best photos. After your paddle board experience take in the hawaiian sun and tropical beach breeze at the picture perfect anini lagoons. 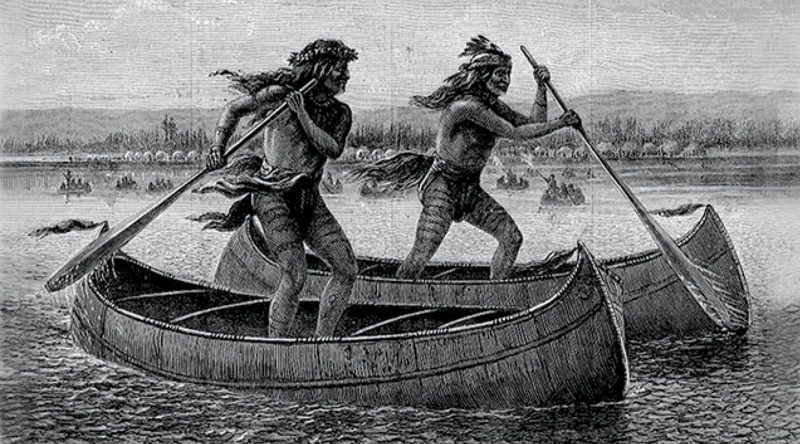 A culture within Anini Paddle Boarding has established to reflect the hawaii spirit. Hosting our clients with the warmth that insures that you feel welcome, safety is our priority. 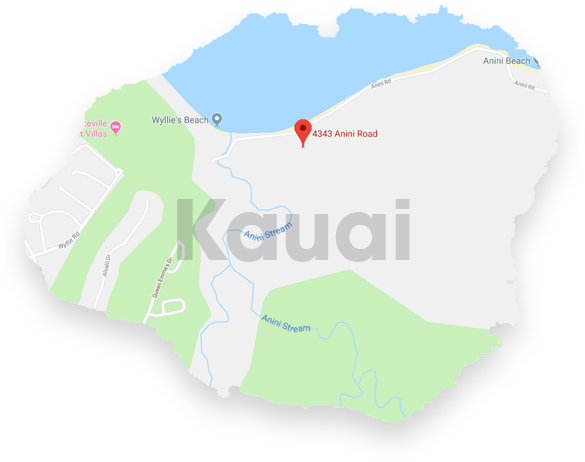 We start with a detailed and in depth ocean safety briefing to insure your educated about the pacific ocean and its dangers throughout your stay on Kauai. Next we discuss the current conditions and how we can customize your tour that day for your convenience. Finally we take you through instructions before helping you get up and out into your stand up paddle board kauai experience. Loved every moment of my Kauai adventure with Bear. A once in a lifetime experience learning to surf in such a beautiful location. Bear was patient and understanding when it came to teaching the inexperienced, such as myself. His knowledge, skill and expert guidance meant by the end, I was able to surf without much help! I am definitely returning! Thanks Bear for such an amazing time! Location : 4343 Anini Rd.